Snow in Kathmandu - Nature-Treks.com :: Pure Nature with Adventures. 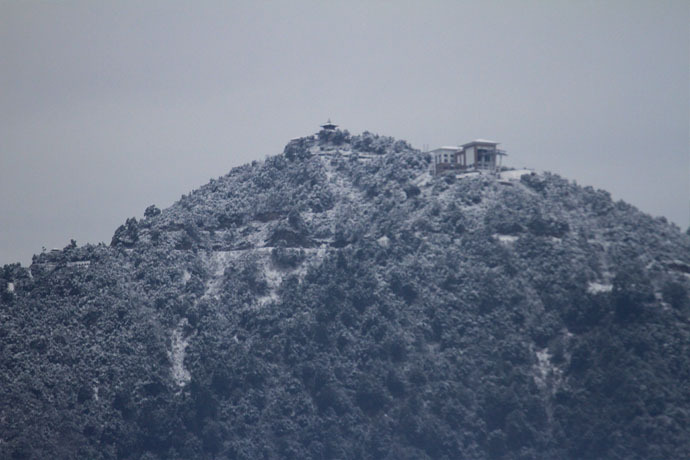 Yesterady (Saturday’ 9th Feb 2019), the hills around Kathmandu valley witnessed snowfall following last three days persisting rainfall. The highest hill, Phulchoki of Lalitpur in the south, Nagarkot in the east and Chandragiri hill in the north-east along with Shivapuri and Kakani Hills of Nagarjun National Park, in the north of the valley, were beautifully covered with with the white blankets of snowfall. Phulchauki and Shivapuri Hills does gets snowfall almost every winter as they are well over 2700m, but this time, including lower parts such as Bhimdhunga ridge near Ramkot also received the snow. Various parts across the country received the rainfall in the south with mild to heavy snowfall in the hilly and mountainous region due to the western winds, a weather phenomenon responsible for winter rains in Nepal. Most of the Himalayan regions received more snowfall this time in compared to last year. Bhairawa, the southern terai, witnessed the highest rainfall followed by Simara.